The average asking price of property in Clapham dropped by 5% or £43,919 compared to a year ago, taking the current average asking price to £830,517 compared with £874,436 this time last year. 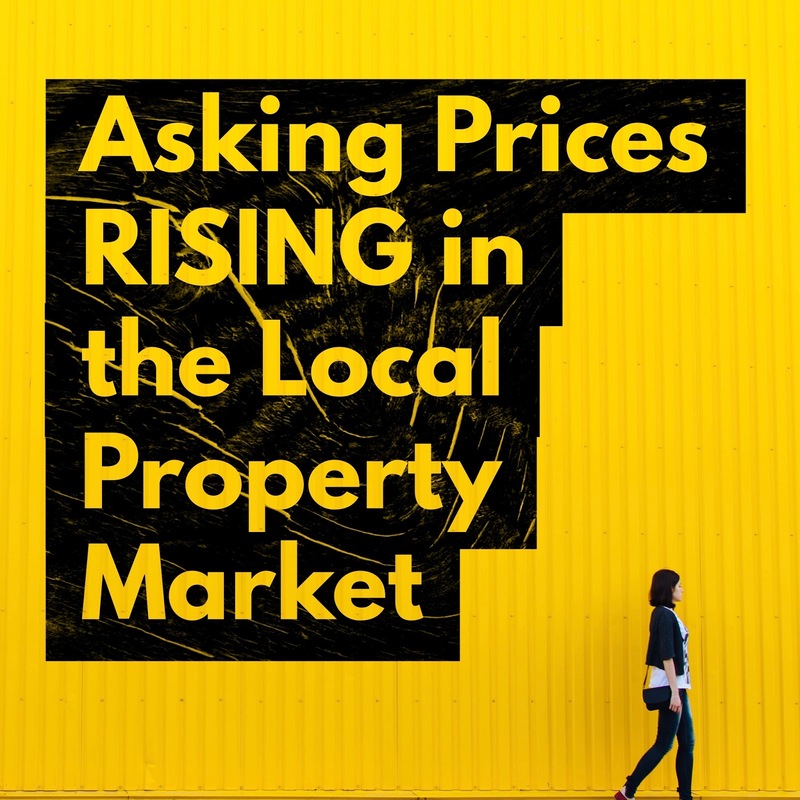 The overall drop in asking prices is being put down to sellers being more realistic with their pricing and looking to benefit from the impending mortgage interest rate rises later in 2018. This is great news for first, second and third time buyers in Clapham starting their property hunting in the usually active spring market this year facing the opportunity of paying less for the property of their dreams. 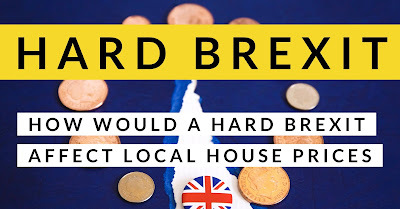 Even better news is that whilst first time buyers also have to pay less for their property, they also have the bonus of the Chancellor stopping Stamp Duty being paid by first time buyers! Now, I must stress this overall drop in the asking prices of Clapham property doesn’t necessarily mean the value of Clapham property is going down by the same amount. 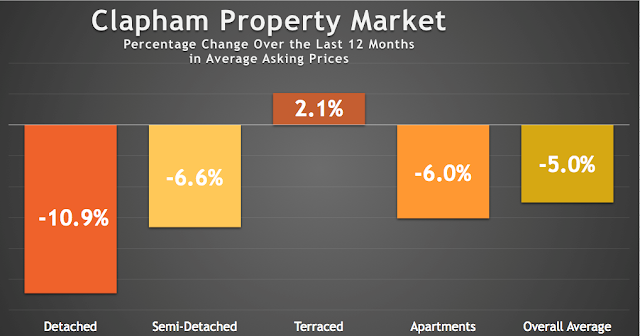 Only time will tell if the current levels of Clapham asking prices is a correction of optimistic house sellers after a couple of months of enthusiastic asking price rises in the lead up to Christmas, or is it an initial sign that property values are slipping. 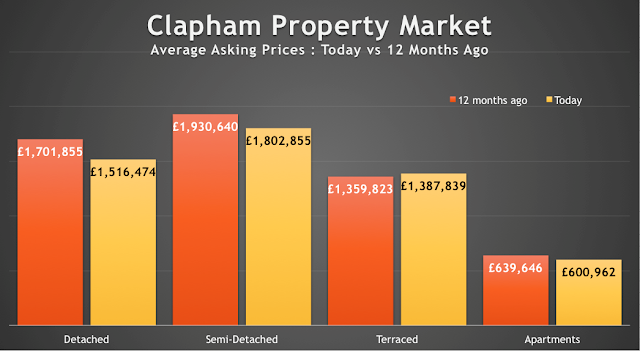 To judge what is really happening to the Clapham property market, I believe these asking prices must be viewed in conjunction with both the values achieved and the length of time it takes to sell the property. Also, these figures are averages, so it might also mean less expensive types of Clapham semi’s or Clapham apartments, are on the market now, this dragging the average down, compared to a year ago. One thought I would like to share with the Clapham homeowners and landlords wanting to sell their property, is the fact they need to be aware of the competition of other people selling their homes. 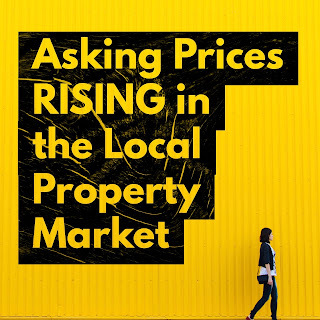 One factor that could be contributing to a subdued demand for local property is the progressively strained buyer mortgage affordability (i.e. banks telling people they can only afford so much on a mortgage), meaning more and more buyers are hitting their maximum on the amount they are able to borrow on a mortgage sooner than they thought. 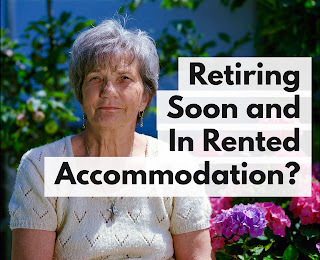 So, what does this all mean, especially for buy to let landlords in Clapham? During these months of flux, there could be some property bargains to be had. Lower asking prices mean you are buying in better yields and potential capital growth at the same time. 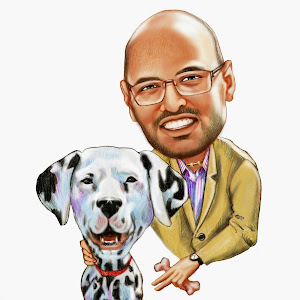 Many Clapham landlords pick the phone up or email me with Rightmove links, asking my opinion on the BTL potential of property. I don’t charge for that service, so if you don’t want to miss out on such opinion, follow what they do and make contact ... I don’t bite!